RAVENNA is the principal audio networking technology for the broadcast industry. It was invented because other audio networking technology lacked the flexibility and features for demanding broadcast set ups. Adopted by nearly fifty manufacturers it is the de-facto standard for broadcast. It is used daily by broadcasters in typical studio and OB set ups. In addition to the day to day, it is also employed for the largest sporting and musical events in the world where failure is simply no acceptable and timing, in all senses of the word, is critical. 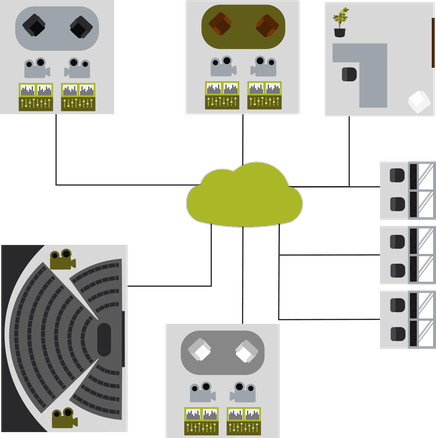 RAVENNA can be used in existing network environments and can be adapted to work alongside other data. It can work on your existing networking infrastructure and topology. It can run hundreds of channels of audio simultaneously.